BABE’S Boat Care Kit contains all the essentials you need to keep your boat looking new. 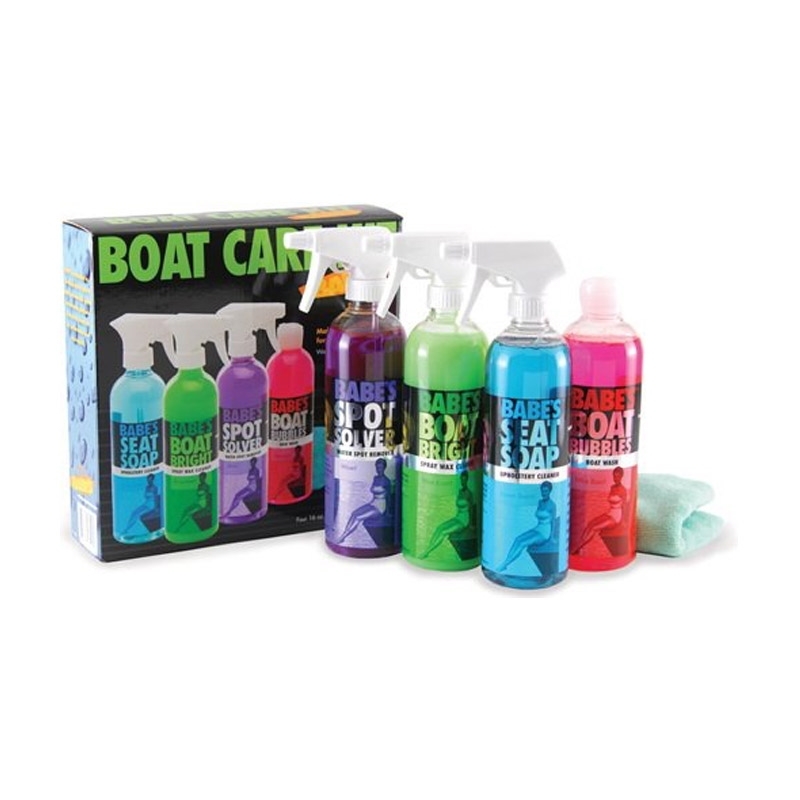 This kit is great for new boat owners to have everything you need to wash, clean and protect your boat. BABE’S Boat Care Kit includes 16 oz. bottles of Boat Bright, Seat Soap, Spot Solver, Seat Saver and an Extreme Performance Towel. CRC Marine On & Off Boat Hull & Bottom Cleaner, 946 ml - CRC-77-76203 3M Super Duty Rubbing Compound, Gal. Bucket of BABE'S - Boat Interior and Deck Complete Cleaning and Care Kit - BABES-BUCKET-614-BB7501 SALT WATER ENGINE FLUSHING 32 Fl. Oz.